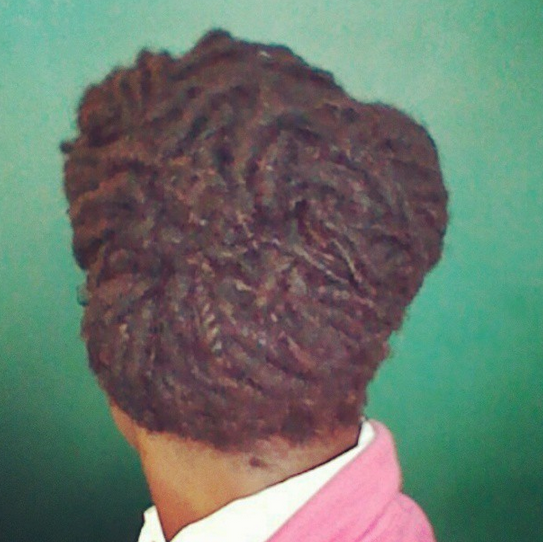 Earlier this week, my hair was feeling dry, dusty, and dirty! I had to do something about it. 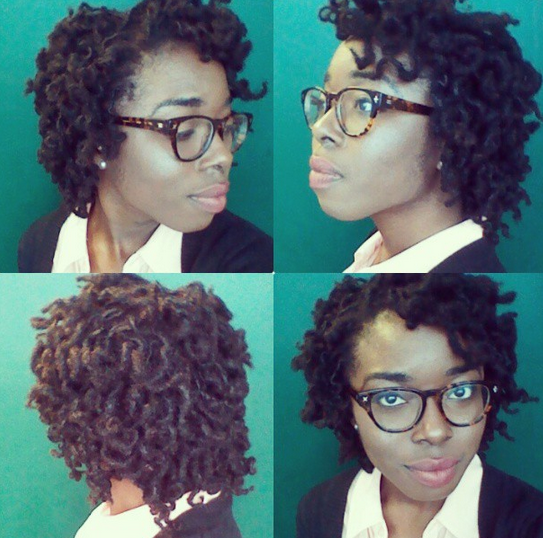 I knew I had to wash and retwist, but I was looking to try a clarifying wash on my hair for the first time. I researched and found a recipe for an Baking soda & ACV rinse. I followed the step-by-step instructions. The result was a squeaky-clean scalp and refreshed locks. 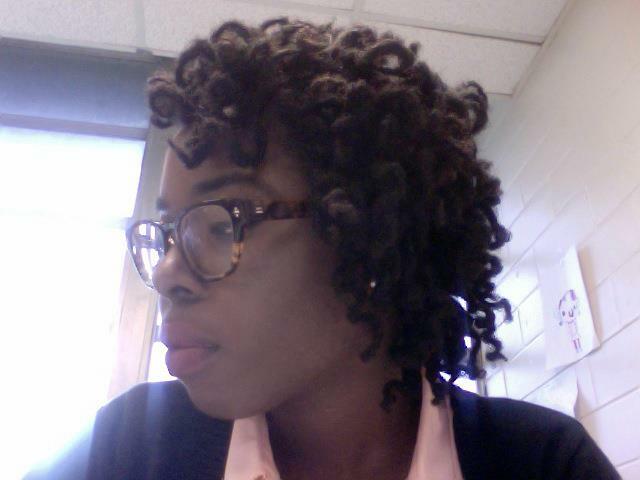 I followed up the rinse with a retwist and some loc knots. I noticed that my hair is always in curly styles so I never see how long my hair is. 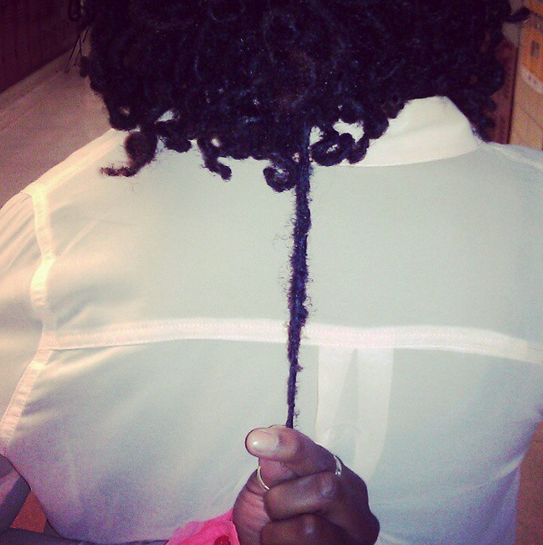 A friend took a length check picture for me and I was amazed by how much it’s grown! The loc knot curls are very similar to the pipe cleaner curl, but a little less work to “install”. The curls held up, even though I only used water and no setting lotion. I love it!